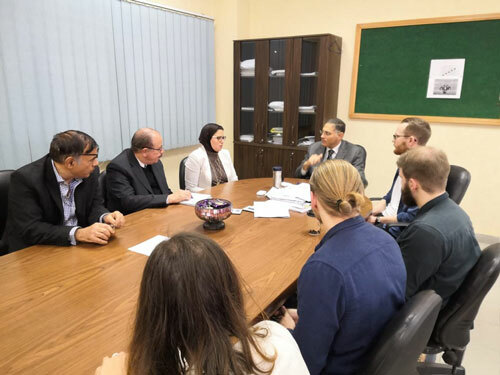 Within the framework of the cooperation agreement signed between the KTH Royal Institute of Technology in Sweden and Pharos University, the faculty of Engineering received the KTH students studying at the Energy Technology Department on Tuesday, 19 March, 2019. The KTH students are involved in a joint graduation project with the PUA students of the Mechanical Engineering Department. 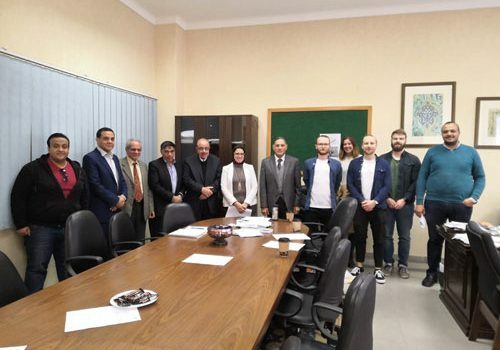 This PUA-KTH graduation project was conducted under the supervision of Dr. Norhan Ghoniem, a lecturer at the Mechanical Engineering Department- Pharos University and Prof. Andrew Martin who works at the Energy Technology Department- the KTH Royal Institute of Technology. 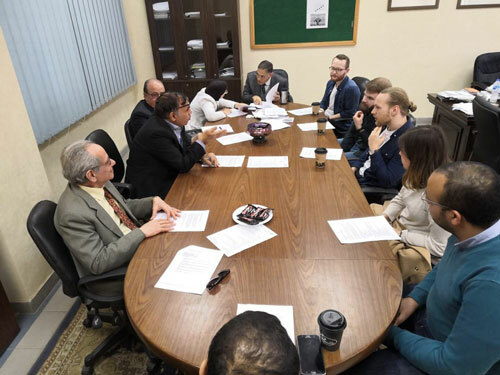 A joint meeting was held between the aforementioned supervisors to discuss the plan set for the project; what has already been achieved and what is to be achieved during the two-month stay will be spent by the KTH delegation in Egypt. This is in addition to the field trips should be arranged for the students. The faculty’s international coordinator also convened a meeting with the KTH students to get them acquainted with the campus.